You are struggling with the fact you are reaching your wit’s end with your out-of-control teenager? In most cases, this is the first time you have experienced this and you are clueless about what your options are. You have exhausted your local resources, such as counseling, outpatient and some even tried sending their loved one to a relatives home. Deciding on residential therapy is a major decision not to be taken lightly. Like many big businesses out there, it is a business. As a parent that was once in your shoes, I know what it is like – I had exhausted every local avenue (including the relative), only to be duped by a residential program. What that did for me is to empower me to help others gain from my knowledge and learn from my experiences. Let’s be real – my one horrific ordeal doesn’t mean all schools and programs are bad – quite the contrary, in our research, we found that most are beneficial. It’s about “you” – the parent, doing your due diligence and not making a decision while you are in a panic. Not allowing these sales reps to convince you of something your gut is telling you is not so. 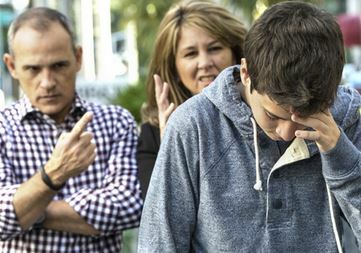 Many parents will get online and start searching all sort of terms for troubled teens. Keep in mind, only those schools and programs (marketing arms) with deep pockets can afford those sponsored listings, that doesn’t necessarily mean they are the best for your teen. In hindsight, the organization that duped me literally had the first spots all over the Internet – they were pros on marketing. Anyone can build a site and market themselves, it’s your research that is imperative – offline. Call the Department of Social Services/Department of Children and Families – ask if there has ever been complaints filed (chanced are they can’t tell you the details, but at least let you know if there were complaints), are they up-to-date with their licences, how are they licensed? As a childcare center, foster-care home, or as a therapeutic boarding school. (Yes, things you need to know). If you are visiting the school/program, stop in local restaurants, talk the people (waitress, locals) ask about the school, their opinions. It’s amazing what locals will say. I think you are getting the idea. The Internet is very valuable, but in reality it can be hard to determine cyber-fact from cyber-fiction, there comes a time to take it offline – for the sake of your child. Marketing arms and sales reps (All those toll-free numbers, be careful of who you are really speaking to and what is in the best interest of your child). I also caution you to just fill out forms that don’t offer you confidentiality. These are marketing arms that simply send your information to a variety of programs. Short term programs (Wilderness programs or otherwise, rarely is there a quick fix. Short term program are usually short term results. They usually will then convince you to go into a longer term program after you are there a few weeks–why not just start with one? Consistency is key in recovery. An average program is 6-9-12 months, depending on your child’s needs and the program). There are some reputable Wilderness programs, however it is our opinion it is an extra step and money that parents should understand before taking this leap. Statistics that show their success rate (I have yet to see any program or school have a third party–objective survey–perform a true statistical report on a program’s success. Success is an individual’s opinion. You have to do your own due diligence and call parent references). Are you searching for a Therapeutic Boarding School, Residential Treatment Center or Teen Help Program? Contact us for more information.